As early as the 14th century, people relied on the clay and herbs found in the Tuscany region of Italy to improve their appearances and their overall health. The fertile Tuscan countryside features nutrient-rich soil and produces remarkably nourishing plants, making herbal remedies that come from the region incredibly effective. 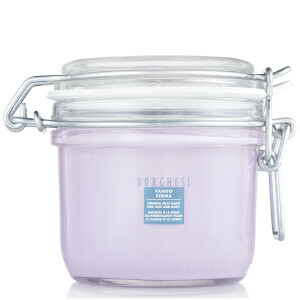 The Borghese collection uses Tuscan-sourced ingredients as the base of its formulas, which heal damage to the hair and skin and improve overall beauty. Many of the formulas found in the range are based on early herbal remedies that have been fine-tuned with modern research to make them as effective as possible. With the Borghese skin care collection, you can treat your complexion to the benefits of visiting one of the luxury natural spas found in Tuscany without ever leaving home. From pampering skin masks to powerful exfoliators, the range has a variety of treatments that can address common skin care concerns. The Borghese collection also includes the essentials necessary for everyday hair and skin care, including shampoos, conditioners, cleansers and moisturizers for a variety of hair and complexion types. The line of the Borghese brand skincare products was founded in the 1950s by the Princess Marcello Borghese, but the roots of their formulas date back thousands of years, based in the tradition of using mineral waters to improve health. Thermal mineral springs have been treasured for their healing and restorative powers dating back to the days of the Roman Empire; the region of Tuscany was particularly renowned for the variety and quality of its mineral springs. Today, under the experienced leadership of Georgette Mosbacher, the Borghese skincare products continue the long tradition of healing waters and mineral earths, combined with modern scientific techniques, to create treatment products of unparalleled effectiveness and quality. One of the mainstays of these formulas - the Acqua di Vita Living Water Complex - contains a unique balance of sodium chloride, magnesium, calcium carbonate, potassium and other mineral compounds - which help revitalize, strengthen and support skin health. By attracting and binding moisture to the skin tissues, the minerals in this water complex help maintain the skin's moisture balance, providing a smoother and more resilient skin texture. Borghese is committed to bringing superior anti-aging skincare, daily skin maintenance and self-renewal care in a spa setting and at home. The formulas are built on a heritage that goes back to the 14th century, employing the proven treasures of mineral-infused water and earth to provide nourishing, re-energizing care. They are offered today with modern sensibilities, backed with scientific understanding for their interactive value. Now the treasures of the nobility are available to all. If it is time to step up your beauty care routine with a few new formulas, why not consider Borghese Products? Combining traditional Italian recipes with modern treatment techniques, each of these formulas includes an aromatic medley of natural botanicals and innovative ideas that blend well together to create an effective solution for a woman's beauty needs. 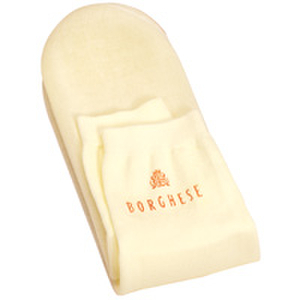 Please browse through a comprehensive listing of our Borghese Products on the remaining portion of this page for a look at exactly what your choices are. No matter what type of skin concerns you are currently experiencing, one of our available Borghese Products should be able to address it for you. Each formula is designed to treat your skin to a bit of rejuvenating magic as it instills fresh vitality into your life. Many of these solutions work well together, providing an added boost to your skincare routine with little or no effort at all. Care for your individual beauty needs with the effective formulas of Borghese Products - a full line of innovative treatments designed with time-honored ingredients and the quality that makes them so distinctive. For a luxurious experience with skin-softening Italian mud, try the hydrating treatment delivered by Borghese Fango Delicato Active Mud for Delicate Dry Skin. It offers firming relief that boosts your skin, calming redness, hydrating dryness, and minimizing the depth of expression lines and wrinkles. While this Italian mud product has been recommended for normal to dry skin types, it is gentle enough for even the most sensitive conditions. This is a delightful concoction of moisturizing goodness that treats your skin to renewed dermal vitality! A hydrating lotion with a lightweight consistency, Borghese Cura Di Vita Protettivo Protective Moisturizer SPF 15 offers necessary protection against the harshness of the sun's UVA and UVB rays, safeguarding your skin against the damage that can occur with too much exposure to the elements. Suitable for all skin types, this antioxidant lotion soothes and softens your skin while protecting it through its unique Filtrex sunscreen system. You receive two skin-friendly experiences with this product - deep moisturization and strong protection. Treat your eyes to a rejuvenating treatment that is both ophthalmologist and dermatologist tested when you begin to use Borghese Botanico Eye Compresses. Designed to produce immediate results that transform your eye zone from sad and tired looking to bright and perky in appearance, these soothing eye compresses provide soothing relief for this area of your face. Existing expression lines are minimized as your skin's moisture balance is restored and the entire eye zone is refreshed with new life.